Happy Monday Tampa Bay… I hope everyone had a wonderful weekend. Alex here to let you know what is happening around the area this October. Pack up the family for a frightfully fun time at Tampa&apos;s Lowry Park Zoo, 1101 W. Sligh Ave. Wander through the monstrous "Tangled Terror" trail, hit the Roarin&apos; Roller-Ghoster or unearth &apos;Pharaoh&apos;s Tomb of Revenge." Bring kids in costume to a safe, supervised children&apos;s Halloween Party at downtown Tampa&apos;s Florida Aquarium, 701 Channelside Drive. Event features candy stations and kids&apos; activities. Watch exhibits come to life as historic figures and movie characters roam the halls after hours at the Tampa Bay History Center, 801 Old Water St. 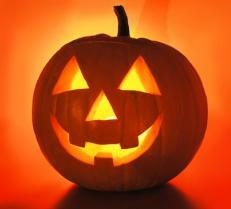 Wear your coolest costume, play ghoulish games, make creepy crafts and go on a scavenger hunt. Cost: Members, $6/child and $8/adult; nonmembers, $9/child and $14/adult. 813-228-0097. These are great events for the entire family! Have a wonderful evening and check back with us often for updates on Things To Do in Tampa Bay.